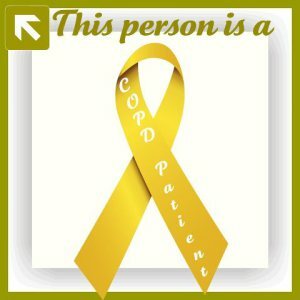 People who have COPD can be candidates for lung transplants. Transplants can be recommended for people who have very severe symptoms, have difficulty breathing most of the time or have no relief of symptoms from medical therapy. Lung transplantation involves giving a person with COPD a lung from a person who has recently died. A single-lung transplant is done more often than a double-lung transplant, and both can be effective methods to improve breathing for people with COPD. June 12 (Reuters) – A lung donor has been found for a 10-year-old girl with cystic fibrosis who only became eligible for an adult organ transplant because of a judge’s order, her mother said on Wednesday. Sarah Murnaghan, who had been kept off an adult organ transplant list due to an age restriction prior to the judge’s ruling, was being prepped for surgery in an operating room at Children’s Hospital of Philadelphia, her mother, Janet Murnaghan, wrote on Facebook. “Sarah got THE CALL,” she wrote. “Please pray for Sarah’s donor, her HERO, who has given her the gift of life. Today their family has experienced a tremendous loss, may God grant them a peace that surpasses understanding. “Today is the start of Sarah’s new beginning and new life!” she wrote. The girl’s family sued to prevent the U.S. Department of Health and Human Services from enforcing a policy that prevents children under age 12 from getting adult lung transplants regardless of how ill they are. U.S. District Judge Michael Baylson granted the family a 10-day temporary restraining order on June 5. U.S. Senator Pat Toomey of Pennsylvania, who has championed the girl’s cause, said in a statement that he was deeply grateful to the unidentified organ donor and his or her family. “Now that a suitable donor has been found, a prayer would help, too – a prayer Sarah’s body accepts the new organ the way doctors believe it can,” he said. A spokeswoman for Children’s Hospital said the hospital was not releasing any details in order to protect patient privacy. People with COPD also need help when travelling, going on holiday and visit OxygenWorldwide for assistance when planning your future travels http://www.oxygenworldwide.com/en/services.html.